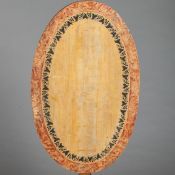 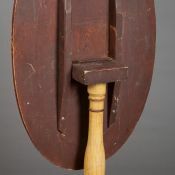 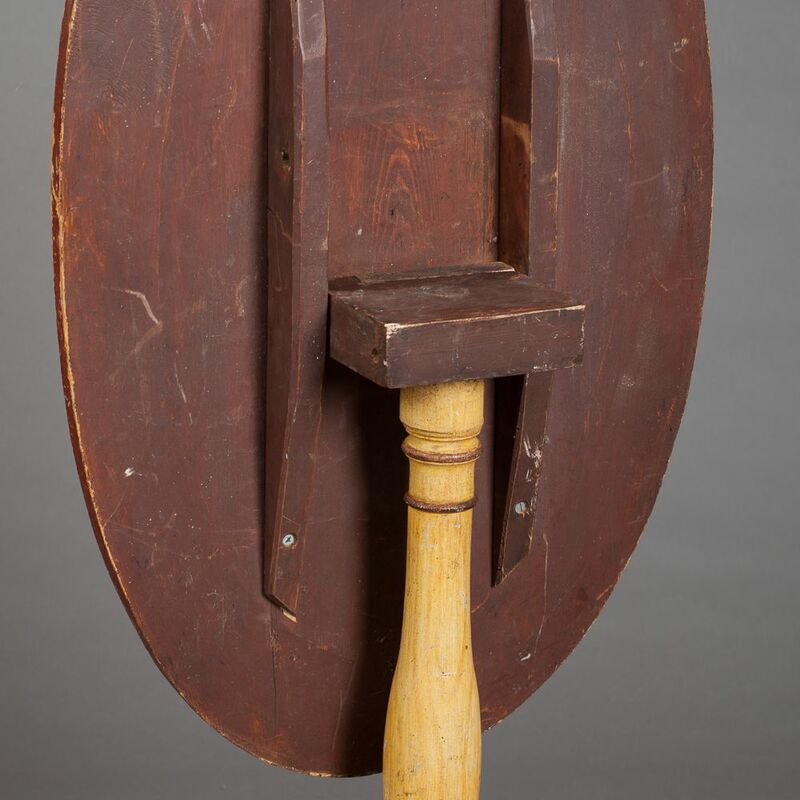 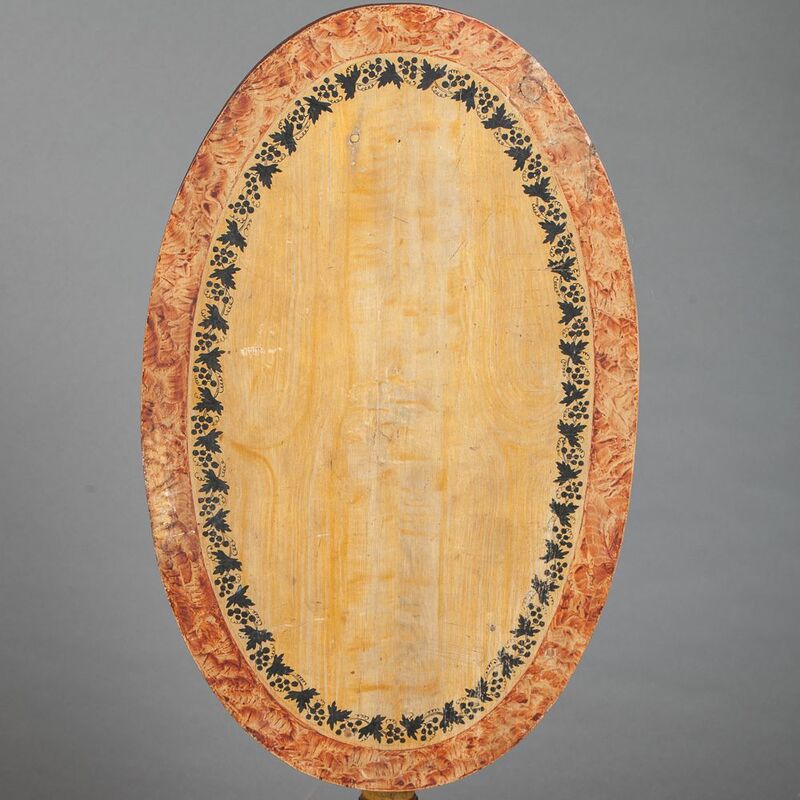 A Swedish oval flip top table circa 1840. 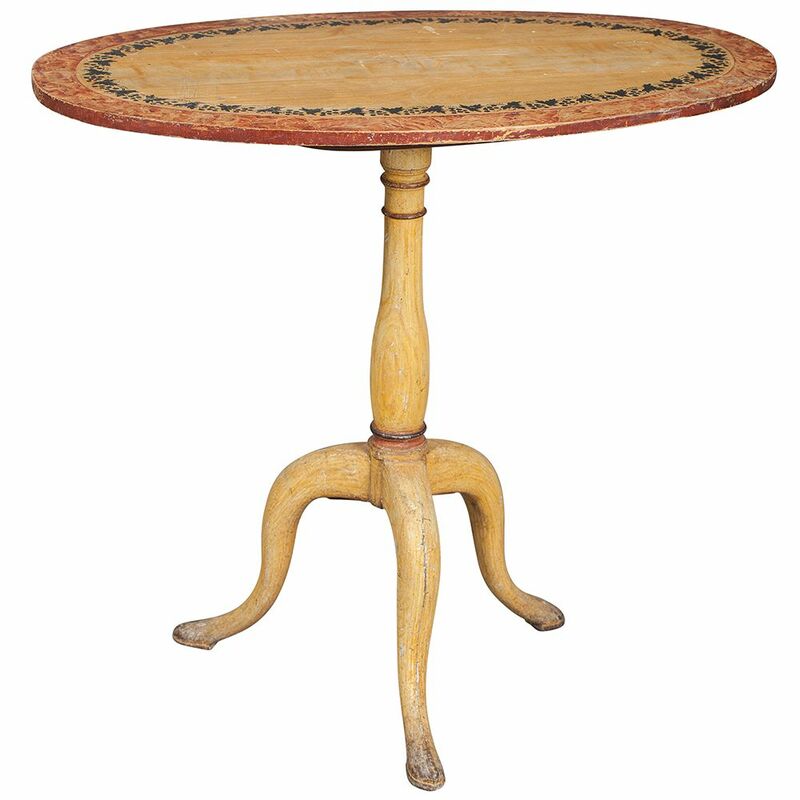 This charming table in the original golden paint color has a band of grape leaves & outer faux painted edge. 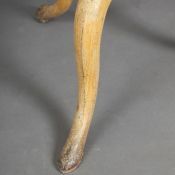 It stands on an elegant tripod foot which echoes the color of the top.